This analogue clock with its contemporary design fits harmoniously into all kinds of environments. 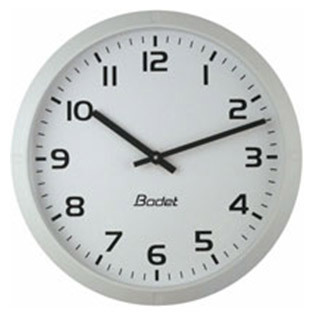 PROFIL extra slim line clock for indoor use: reception areas, offices, hallways, factories, schools. Single or double sided version. 3 types of dial with black graphics and white background : figures 1-12 or minute notches. DIN dial upon request.